Well, nobody could know that the German president would step down just last week. The German Government, meeting lot of other problems in home affairs, once again did not use many efforts to put a focus on Baltic Sea Affairs. "Chancellor Merkel participates in Baltic Sea summit", AFP was cited on 1rst of June. Interesting enough, the Russian RIAN was one of the first to announce the opposite news on the same day: "Merkel cancels trip to Vilnius". Once again German ministers and politicians are occupied when all Baltic Sea States meet. Instead of the new EU Baltic Sea Strategy the stories about possible candidates for president make the headlines (like Spiegel online). The only article about the CBSS-meeting in German in these days publishes "der Merkur", a brandnew online-magazine, which seem to need advertising with the slogan "nothing gets lost with us". Not very concrete conclusions, dear politicians! Nothing more than nice speeches. Why to ask all CBSS-states to meet, if you anyway don't have more need for urgent activities? But may be we could have a look at the Final Declaration (see text here). But no one single measure to be taken is mentioned here! Everyone just congratulates eachother for "benefit from positive dynamics", "reducing unemployment, social exclusion and inequality" or "positive dynamics of socio-economic development". It sounds like all of this already is achieved - at least no concrete measures or necessary acticities are mentioned. 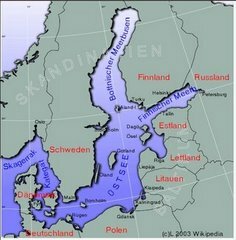 But if this already is achieved: why to call this tiny paper "Vision for the Baltic Sea Region by 2020"? A really weak and unexiting paper. Dear CBSS, do you want to motivate people with this paper? Or is it not more like a justification why to use travel costs and business trips to Vilnius? The Final Declaration of the CBSS Vilnius Meeting says: "The Summit stated its conviction that the Baltic Sea Region, on the basis of ... active civil societies". How nice! If this years Baltic Sea NGO Forum should serve as a proof for this thesis - it would be just a good joke. Where are the "active civil societies", regarding the work of CBSS and EU Baltic Sea Strategy? Are representatives of NGO-networks integrated into the work of CBSS-workgroups? Or are they partners in setting the EU Baltic Sea Stratgegy into practice? Well, it seems one has to accept that Baltic Sea Cooperation does not have a positive image in nowadays Europe. Not among the politicians of Baltic Sea States - take the weak and meaningless Vilnius Declaration as an example. And not among EU-bureaucrats, as Civil Society is not taken as a serious partner for political strategies in the Baltic Sea Region. Well, the CBSS-summit is over already. Who cares? The next one will not be earlier as in two years time. And where? In Germany! Please mark the date in your calendar, Ms chancellor! Next time will be not possible to escape!